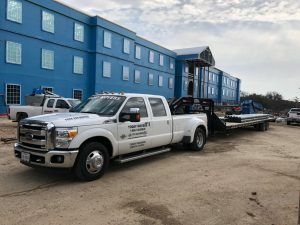 We can help with all of your urgent delivery requirements, from urgent freight to over-dimensional loads for construction sites, refinery operations and more! We’ll make sure that your freight gets to its destination on-time and under budget. Our years of moving experience mean we are well-versed the necessary precautions when it comes to transporting your items. We can handle up to 17,000lbs worth of cargo on our specially built trailer. Contact Today Movers for a free hot shot delivery estimate.